Gerald Jones Company offers a variety of replacement windows that will add efficiency, comfort and value to your home, but the first step toward upgrading your existing windows is picking the right material. Window frames come in a variety of different materials, including vinyl, wood, and fiberglass. These categories are then broken down into the different styles of frame (covered in our previous blog) which include double-hung, sliding, picture, casement, and so on. Vinyl window frames are the most affordable choice, as little as half the price of comparable wood options. They are considered highly energy efficient due to their “honeycomb” design that helps trap and thus insulate air. A low-maintenance option, they never need to be repainted, although your color options may be limited. One downside is that vinyl cannot be easily disguised as a different material, so those favoring a rustic or customized look may not like vinyl’s uniform appearance. 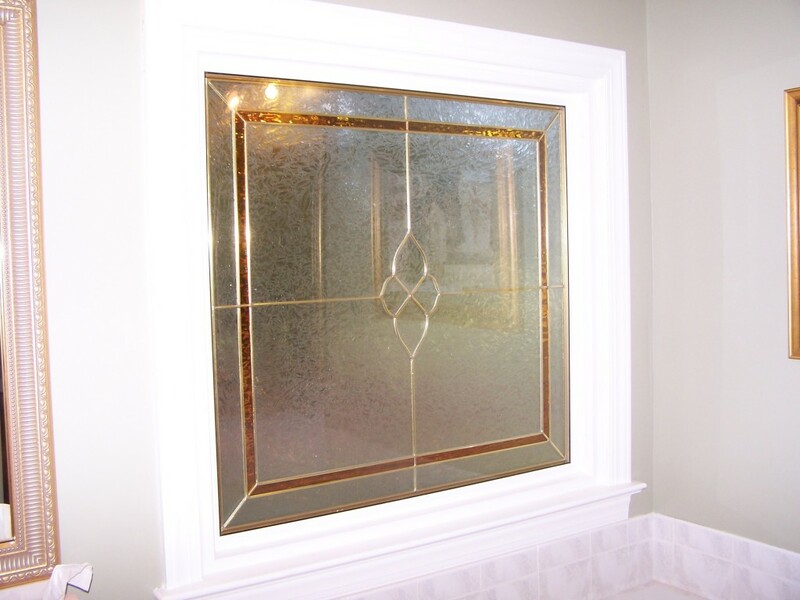 White vinyl framed picture window with decorative glass installed in Master bathroom. Wood-framed windows are the ideal choice for homeowners who prefer a traditional look to their windows. They are versatile and can be milled or shaped into endless different styles. They typically come unfinished, so can also be painted or stained to any color. This high level of customization makes wood-framed windows an obvious choice for those looking for an authentic or unique look for their home. One downside is that wood is susceptible to environmental factors like moisture. They have shorter lifespans because of this, and must be repainted and maintained over time. 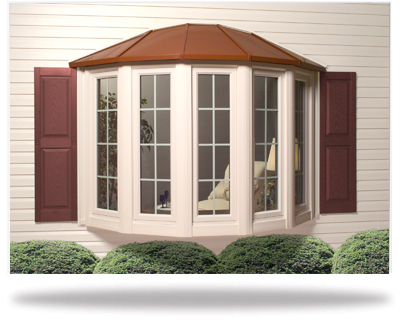 Fiberglass and composite-frame windows are the latest option on the market. They boast several advantages over vinyl and wood frames, yet still only make up about 3% of replacement windows. This would most likely be attributed to their higher price tag, but experts would argue it’s a worthwhile investment: They are durable, maintenance-free, and are even more energy-efficient than vinyl frames. They hold their structural integrity over time and also perform well in any weather. Similar to vinyl, they cannot easily be made to look rustic or vintage, but unlike vinyl frames, they can be painted. Foam-filled fiberglass specifically has the highest insulation value of any window frame material. When it comes to window frame options for your home, we recommend you consider the above factors and consult with our window replacement experts. Gerald Jones Company is the leading installer and supplier for replacement window systems of all three varieties: wood, vinyl and fiberglass, and we are happy to answer any questions you have. 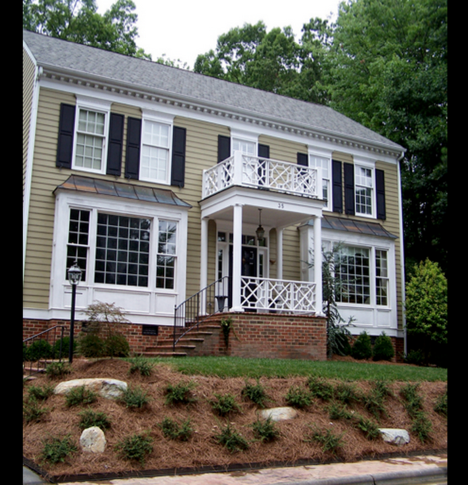 Give us a call today at 919-286-1700! This entry was written by Gerald Jones Company, posted on January 28, 2016 at 10:38 am, filed under Uncategorized and tagged Durham, fiberglass windows, Gerald Jones, replacement windows, vinyl windows, window frame, wood frame windows. Bookmark the permalink. Follow any comments here with the RSS feed for this post. Both comments and trackbacks are currently closed.